In June 2017, U.S. Representative Lloyd Smucker, with U.S. Representative Scott Perry and U.S. Representative Pat Meehan introduced H.R. 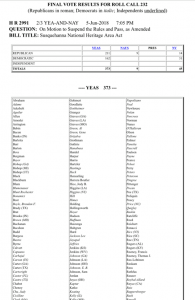 2991 in the U.S. House of Representatives to establish the Susquehanna National Heritage Area. 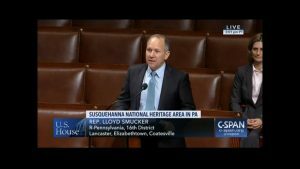 On June 5th, 2018 the U.S. House of Representatives approved Congressman Lloyd Smucker’s bill to designate Lancaster and York Counties as the Susquehanna National Heritage Area. 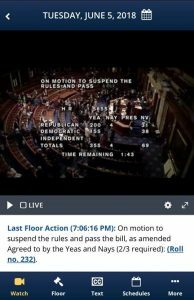 You can read about it and watch video of House proceedings on the bill here. This is a key milestone on the way to bringing this national honor to our region. Thank you Congressman Smucker and the U.S. House of Representatives for recognizing the national significance of our area and passing this legislation. Help support our efforts to become a National Heritage Area by expressing your support and asking U.S. Senator Bob Casey & U.S. Senator Pat Toomey to support congressional designation of the Susquehanna National Heritage Area! Learn more here about our National Heritage Area Initiative.